This is a photo taken at the Ohio State vs Indiana game. The Indiana University Marching Hundred visited Columbus and TBDBITL. The three of us were a part of the 2010 Blue Stars. It was great seeing each other and watching another great Big Ten band perform. And the game was a lot closer than anyone expected! 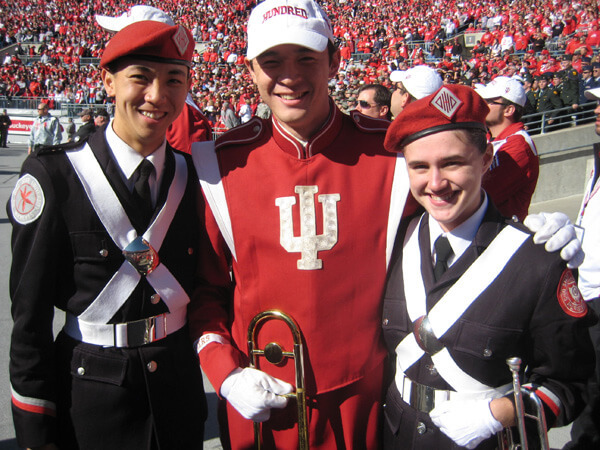 Pictured from left to right are David L. (Trumpet), Mike V. (Baritone) and Megan M. (Trumpet).